Making life more fun and delicious! 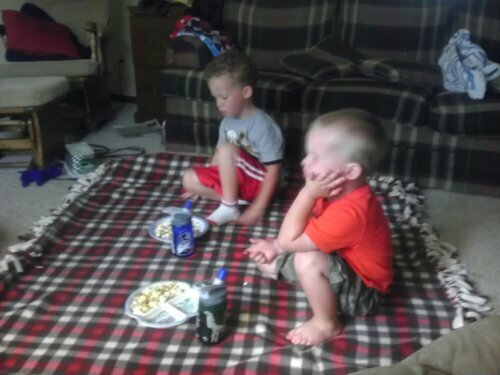 But, one of our other favorites is popcorn. 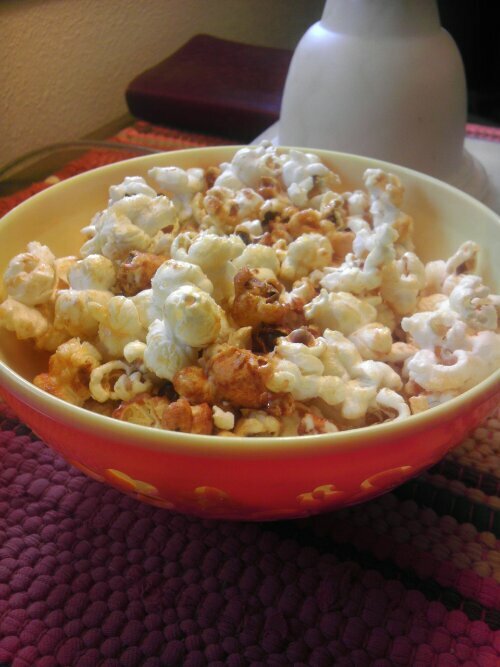 And last year sometime, I found a recipe (yes, on Pinterest) for diy kettle corn. If there’s one thing in a sucker for at county fairs and festivals, its kettle corn. The smell is tantalizing. It just begs you to buy the giant (yes, you have to get the giant one) bag and eat bite and sweet and salty bite. Mmmm. Put the cover in and wait to hear a couple pops of the popcorn. Using hot pads, hold the handles of the pot while also holding the lid on. Shake the pit back and forth a few times and return to heat. Continue to do this until most of the popcorn is popped. Usually when it gets down to a couple pops every few seconds, its done. Be careful not to burn the sugar. I’ve done that a few too many times and its not yummy when half of it is burnt. So shaking the pot is very important! As soon as it’s done popping, carefully pour the popcorn into a large bowl and salt to taste. I know I have mentioned this multiple times, but I love finding delicious and healthy snacks! And if you are a peanut butter lover like I am, you will like this one. It’s super easy to slap together and you can enjoy it almost right away. I also think this recipe would be pretty versatile. You could make this into a trail mix, adding some dried fruit or nuts. You could also use almond butter instead of PB. Not only is this a clean recipe, but it could also be a gluten free recipe. Throw some gluten free oats in there and you’ve got a cheap and easy gluten free granola! Spread out and ready to go in the oven! Preheat oven to 325 degrees F. Either spray a cookies sheet with cooking spray or line with parchment paper. In a microwave safe bowl, combine peanut butter and honey. Microwave for about 30 seconds, or until peanut butter melts. Add cinnamon and vanilla; mix well. Stir in the oats until they are completely covered in peanut butter mixture. Spread oat mixture out on prepared cookie sheet. 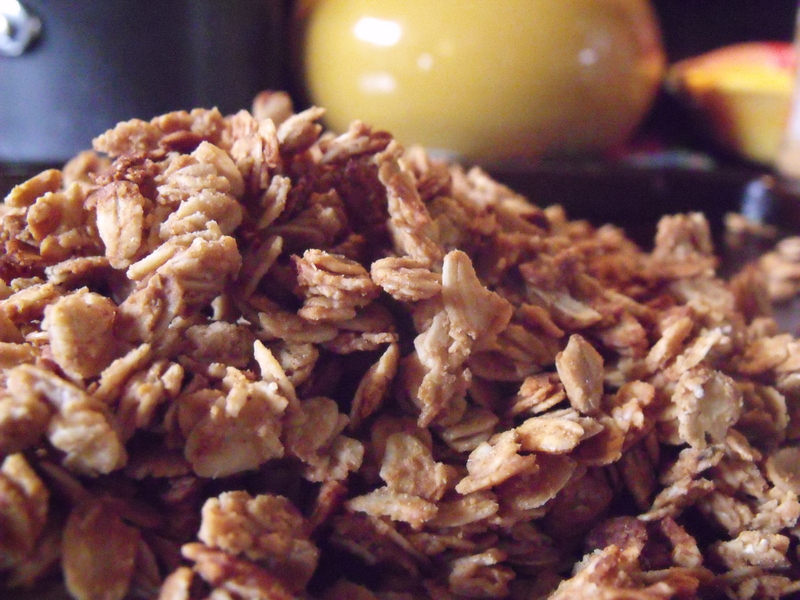 Bake about 12-15 minutes, or until granola is slightly browned. 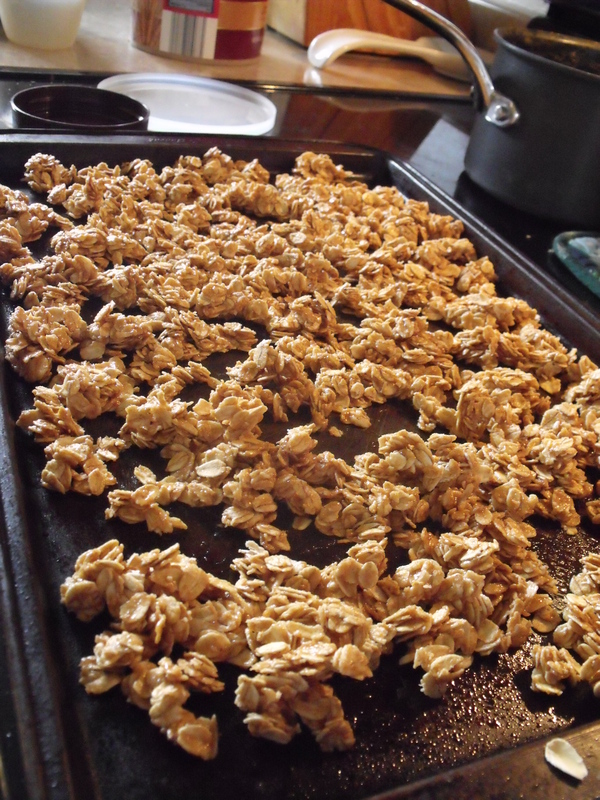 Granola will become crunchy as it cools. I put this in some Coconut Milk Chocolate yogurt and it was so yummy! I think it will taste good in all my flavored yogurt!